For the past two weeks, 16 year-old Chiara Lima Caldas has been doing her Praktikum (work experience) at EUMETSAT. 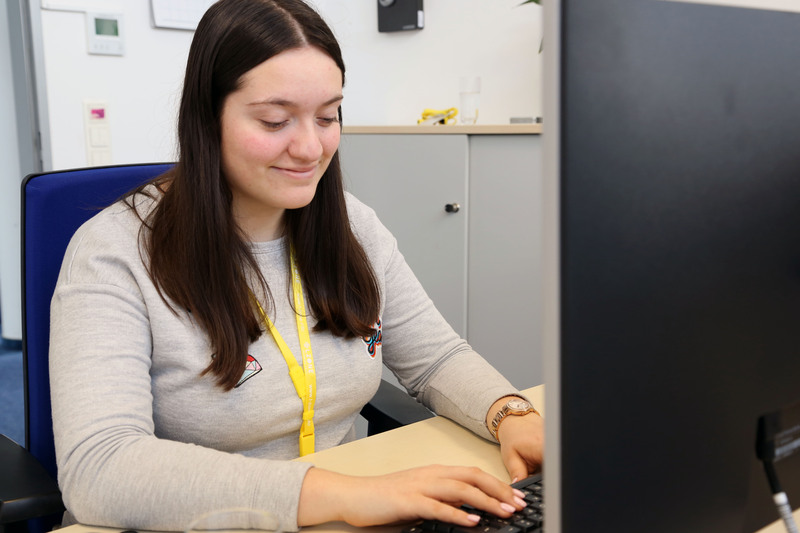 Chiara is currently a student at the Ernst-Göbel-Schule (high school), which is located in Höchst im Odenwald, Germany. After spending her first week in various other departments within the organisation, we were delighted when she spent a day with us in the Strategy, Communication and International Relations (SCIR) division. 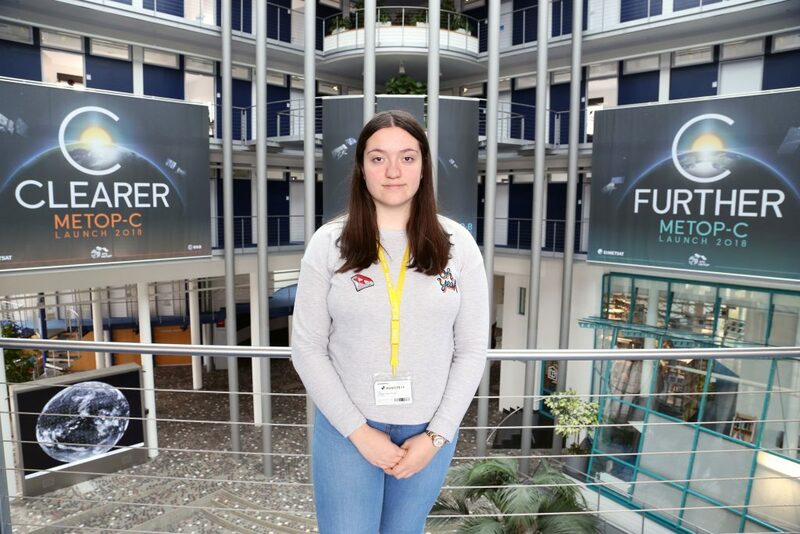 Chiara took over our Instagram account and gave followers an inside look into the building, plus also helped provide us with content for our other social media channels and spent some time reporting from inside the Geostationary Mission Control Centre. 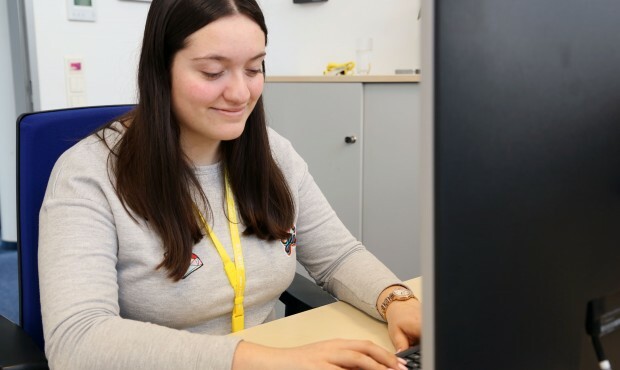 Before leaving, Chiara sat down for a chat with us to talk about what she’s experienced during her time at EUMETSAT and we’re happy to share this with you today! What have you seen/done so far at EUMETSAT? I spent some time in various departments to get a better idea of the different kind of jobs there are here at EUMETSAT. I learnt about Jason CS, visited the Low Earth Orbit Mission Control Centre to hear about flight dynamics, I worked with the User Support & Climate Services (USC) team of trainers and the staff from the Operations division, visited the Geostationary Mission Control Centre and lastly within the Strategy, Communication and International Relations department. I also attended Girls’ Day – an annual event in Germany that EUMETSAT participate in each year. 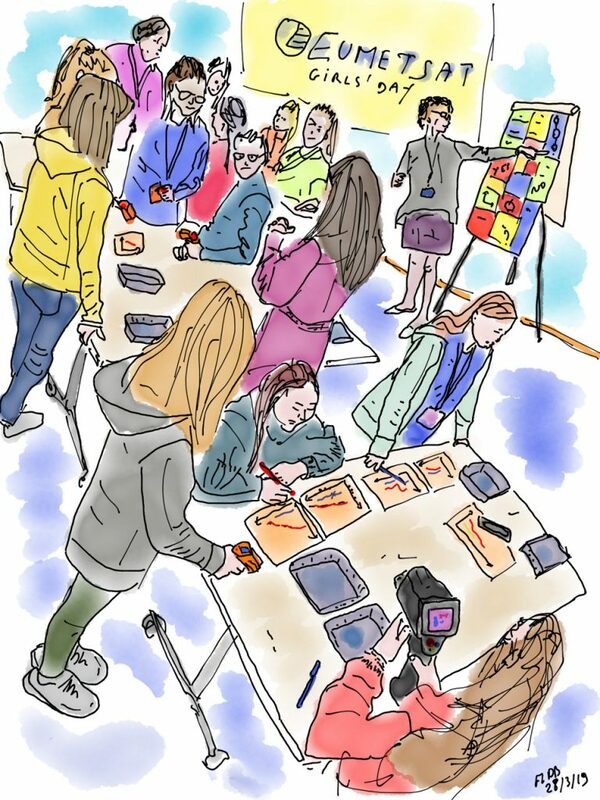 Young girls from local high schools can spend the day at various organisations and this year I was one of 20 students attending. Because of the time I’ve spent here, I actually showed the rest of the girls around the building and could already explain some things to them – this was really fun! What were you most looking forward to seeing/learning at EUMETSAT? I was very excited to visit the control room and to learn more about satellites. What has been your favourite thing here so far? I really liked the day I spent in the control centres, the time with the USC team and the day in the Strategy, Communication and International Relations division. Why did you choose EUMETSAT to do your Praktikum? Because I think that satellite images are very cool and fascinating, plus I also wanted to know where they came from. It is also an opportunity for me to improve my English. How did you hear about EUMETSAT? My father has a friend that works here and around the time I had to select where to do my Praktikum I was very interested in physics, so he suggested this place and it seemed like a good fit. What would you like to study after high school and what are your favourite subjects? I would really like to study medicine, but maybe also something related to physics. My favourite subject at the moment is biology. What would you like for a job in the future? I’d maybe like to become a doctor but I can also imagine doing something to do with physics. Now that you have spent some time at EUMETSAT, would you also consider a career within the space industry? Maybe, because it is very interesting but for now I have the desire to become a doctor. I learned how the satellites work, how the data comes to the users, what kind of data the satellites are recording, how EUMETSAT controls the satellites and much more. A big thanks to Chiara for all her help and we wish her the best of luck in her dreams of becoming a doctor! For more impressions of this year’s Girls’ Day, visit our social media channels.